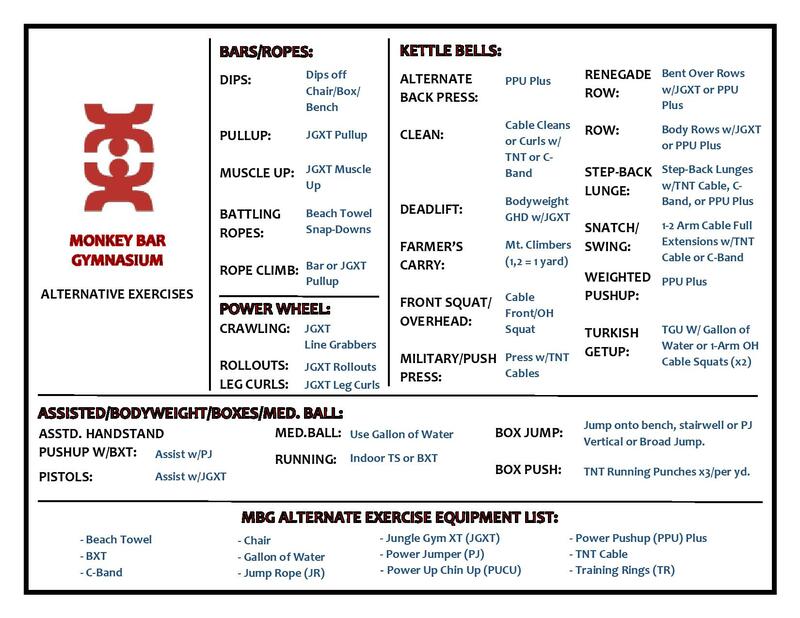 The “Simple and Strong” programs are a combined three formats that you can use to modify any workout. Stress, old age, injuries, lack of sleep all combine to make metabolic workouts hard on the body and often counterproductive. Many of our workouts already follow these formats, but you can also quickly modify any workout based on your goals or how you are feeling that day. What does this do? Strength / Hypertrophy. This is the best way to get started. Perfect for athletes that want to build size and strength without over-stressing, as well as beginners, injured or overweight. First: Do a set of as many as possible (AMAP) with a weight or level (for bodyweight exercises) that you can do 8-16 reps with good form and good speed. Do NOT do a failure or fatigue rep. When repeating a Tortoise workout, you do not need to do the first max set again. Then: Take 1/2 the number of reps from your first set and do 4-9 more sets (up to 10 total). Rest as needed between sets. If you cannot match the required reps in a set, then either rest longer or stop if extra rest doesn’t help. Example: My first set of pushups I am able to do 8 reps. Then each set after that I will be doing 4 pushups. On my 8th set I crash and can’t do all 4 reps, so I stop. First Goal: Complete all 10 sets with good form. Second Goal: Increase your reps until your first set is 16 and all other sets are at 8. Third Goal: Move up in weight or level once you can complete 10 sets of 8+ reps.
What does this do? Hypertrophy / Strength. Perfect for those looking to build size and strength. First: Do a set of as many as possible (AMAP) with a weight or level (for bodyweight exercises) that you can do 10-20 reps with good form and good speed. Do NOT do a failure rep.
Then: Do 9 more sets (for 10 total), doing 1 less rep each set. So if your first set was 14 reps, then the second set do 13, the third set do 12 etc. until you have completed all 10 sets. Rest as needed between sets. First Goal: First goal is to finish in straight sets. If you had to break sets up then next time your goal is to finish with zero breaks. Second Goal: Once you can do it in straight sets, your next goal is to add reps to your first set (and therefore all sets). What does this do? Builds pure strength. First: Do work-up sets until you get to a weight or level that you cannot do more than 5 reps for lower body or 7 reps with upper body. First Goal: Each week move to the next set/rep scheme in the list. You should be able to see improvement every single time you do the workout. Second Goal: Once you can do the last set/rep scheme move onto the next weight or level.